The Gilwell Oak has become renowned throughout the world. 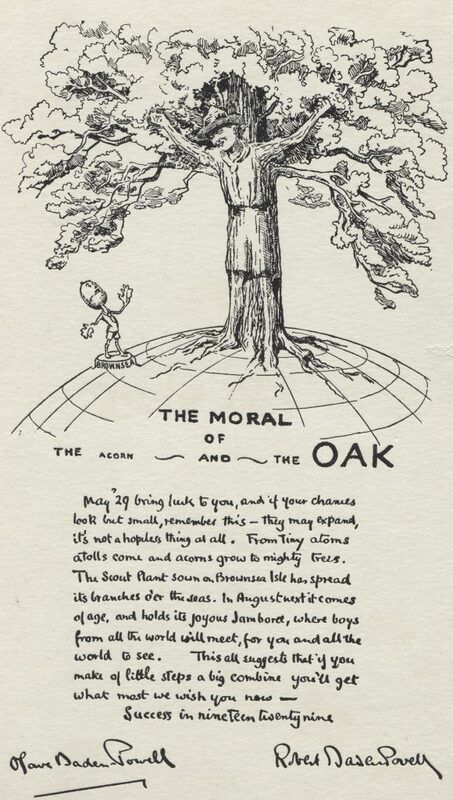 Scouting’s founder, Robert Baden-Powell used the oak tree as an analogy for the growth and development of Scouting. He referred to the Brownsea Island experimental camp, run for 20 boys 1907, as the acorn from which the oak tree of Scouting grew. The Moral of the Acorn and the Oak by Robert Baden-Powell. It is Gilwell’s Scouting activity which led to the tree’s iconic status. In 1919 Scouting was going from strength to strength with over 205,000 youth members. Not all of these young people were able to get the most out of Scouting due both to a lack of facilities and leaders. A Scottish Scouting volunteer, William de Bois Maclaren, witnessed East London Scouts struggling with their activities due to a lack of outdoor space. He donated £7,000 to buy land for a Scout campsite; Gilwell Park was found and purchased. 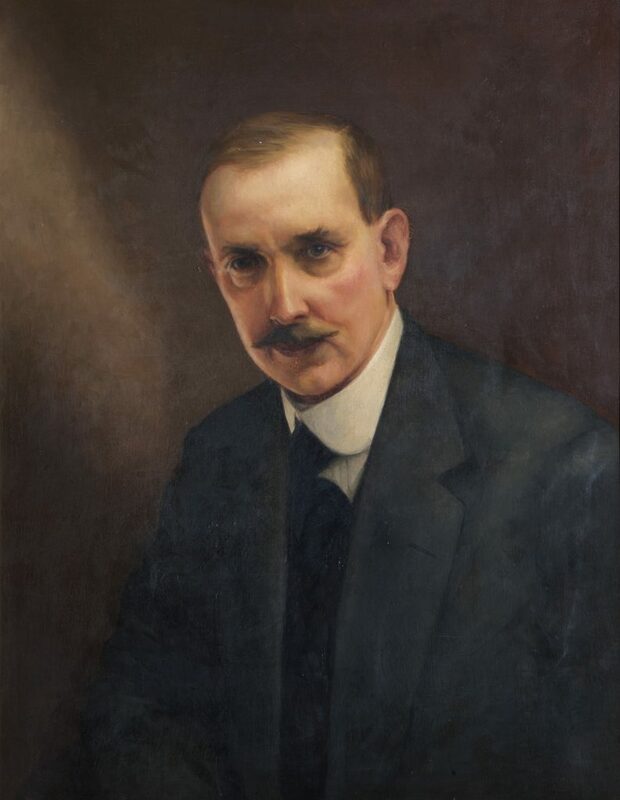 Maclaren purchase Gilwell Park on behalf of Scouting in 1919. The first Scouts arrived on Maundy Thursday 1919 to start preparing the derelict site for use. By July a campsite was established alongside a training centre for a much needed new generation of leaders who would take on the mantle of those lost to the First World War. The first training course ran the following September, overlooked by the oak. This event continues to be commemorated every year by “Reunion” held to celebrate the contribution of the 150,000 Scouting volunteers active in the UK today. 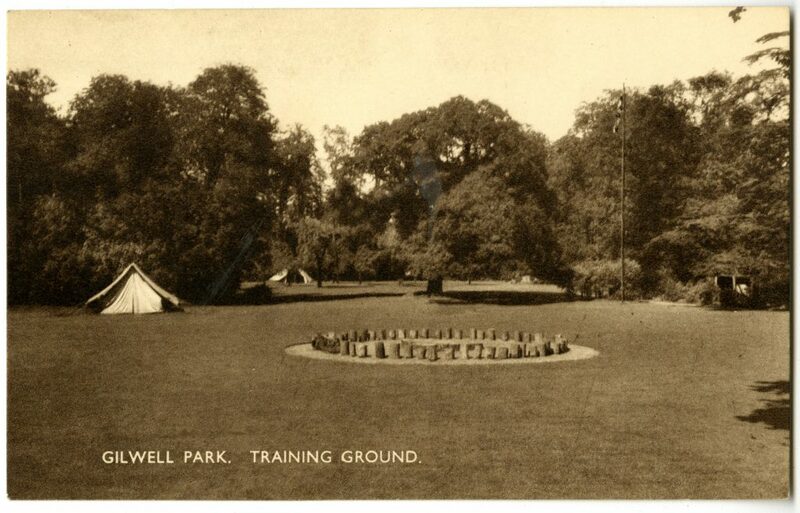 The Gilwell Park Training Ground and Circle with the Gilwell Oak in the background. The current Gilwell Oak is in fact the second to bear this name. The previous one was located in Branchet Field. 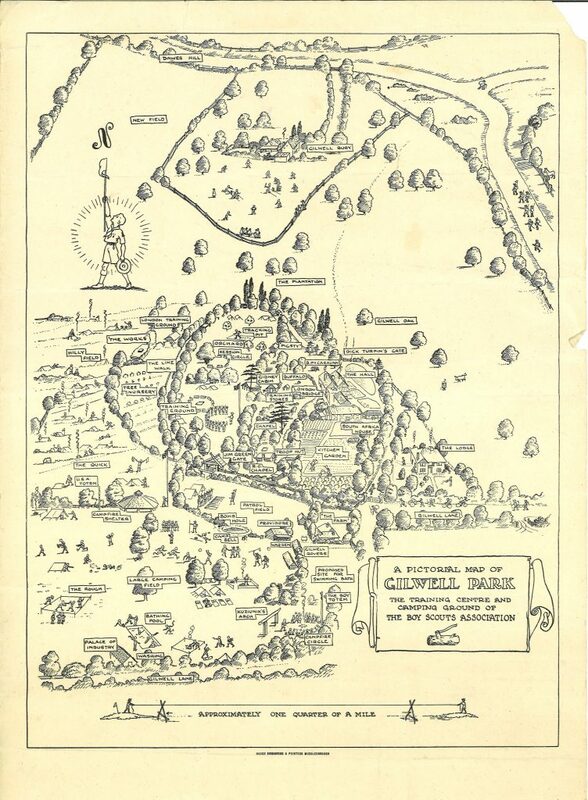 Maps from the 1950s show this change, the current Gilwell Oak sits on the edge of the Training Ground, the area in which Scout volunteers would stay to complete the residential aspect of their training. A 1946 Map of Gilwell Park showing the location of the original Gilwell Oak. The training offered at Gilwell Park was the first of its kind, Scouts from around the world attended training at Gilwell. On their return home many set up their own training centres to pass on their learning. In this way the legend of Gilwell spread around the world and the idyllic scene of Scouts taking shelter from the summer sun (or rain) under the branches of the Training Ground’s most iconic tree became well known. 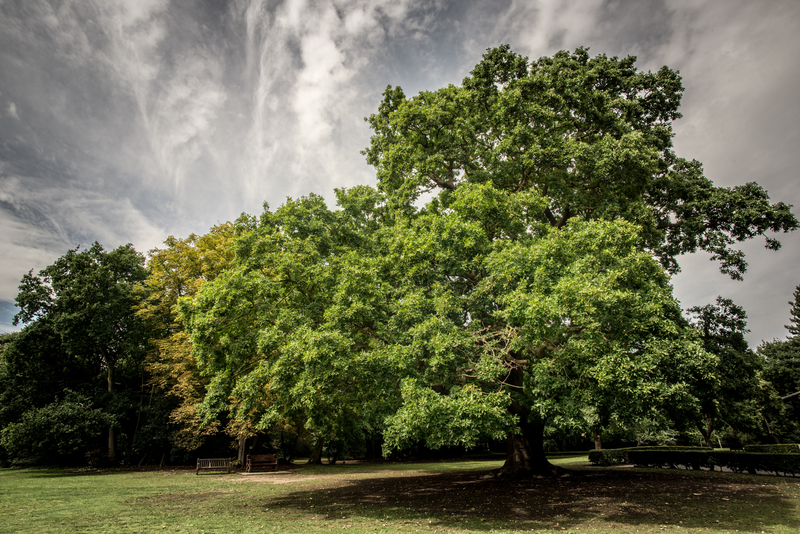 In 2017 the Gilwell Oak’s amazing story led to it winning the title of The Woodland Trust’s UK Tree of the Year. 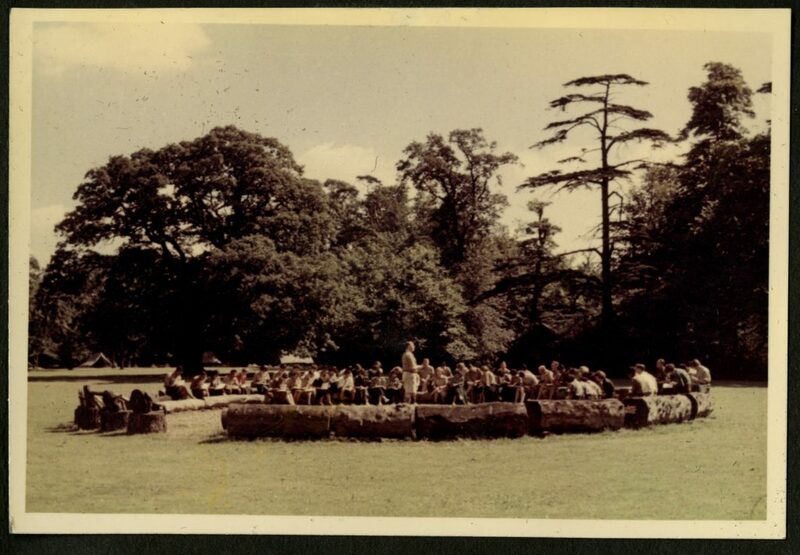 The Gilwell Park Training Ground with a group in session, 1950s. The oak tree continues to be an important symbol in Scouting, our Young Leaders badge shows an acorn and leaves and our adult awards include the Silver Acorn. 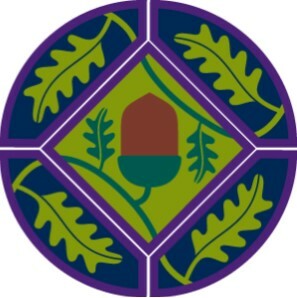 Oak leaves and acorns form part of the UK Scouting Young Leaders scheme badge. 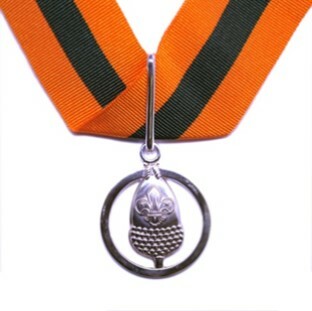 The Silver Acorn, an award presented to adult volunteers in UK Scouting for distinguished service to Scouting.